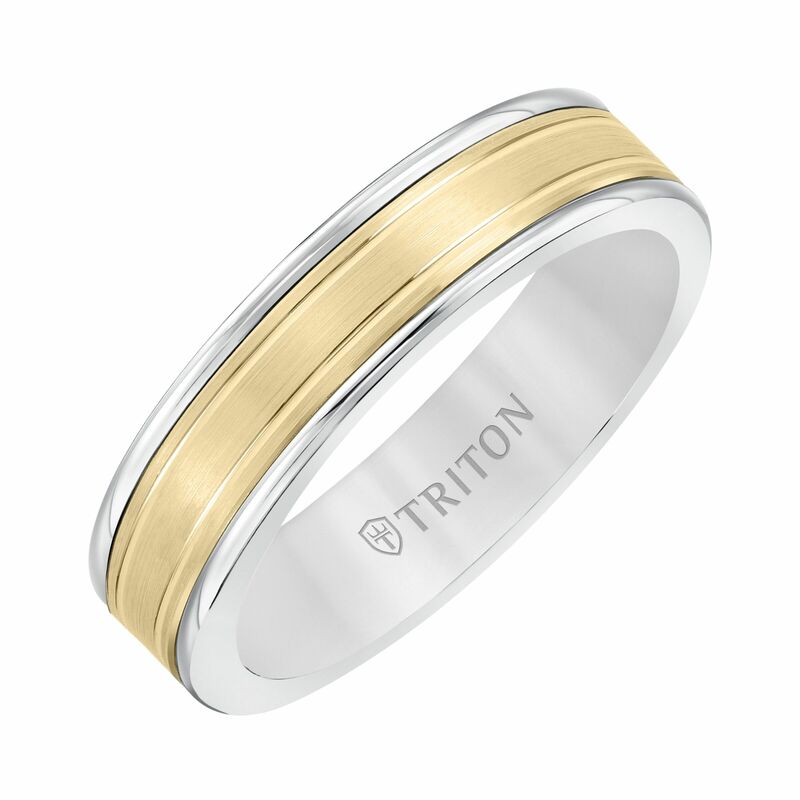 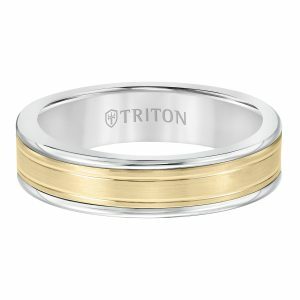 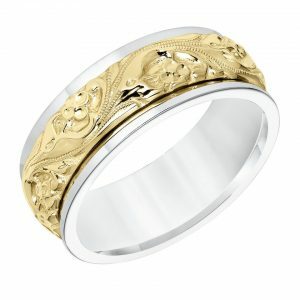 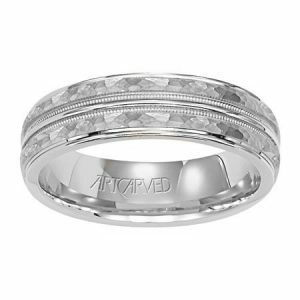 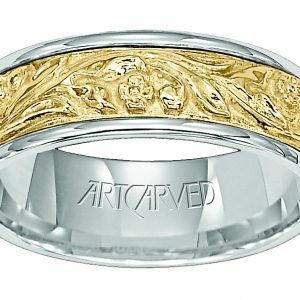 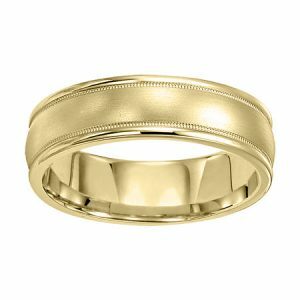 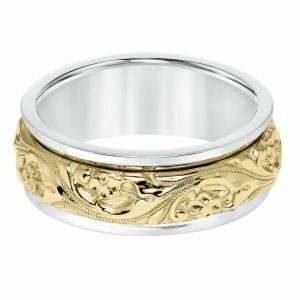 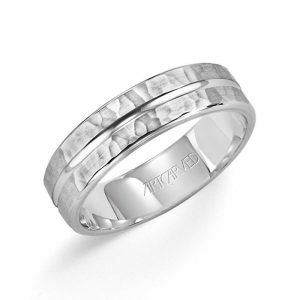 Triton White TC850 and 14k yellow gold grooved center inlaid wedding band. 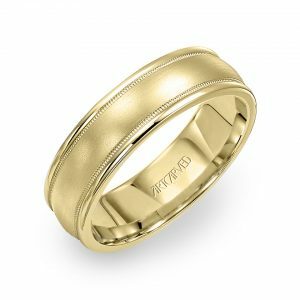 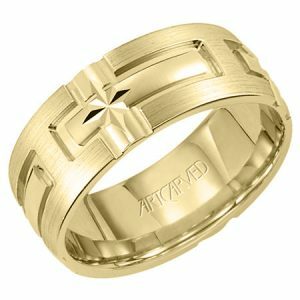 The band is 6mm wide with an inlay of 14k yellow gold that has two high polished engraved grooves, which run the circumference of the ring. 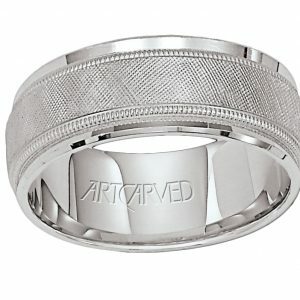 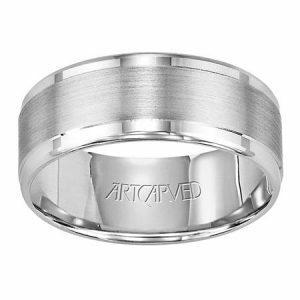 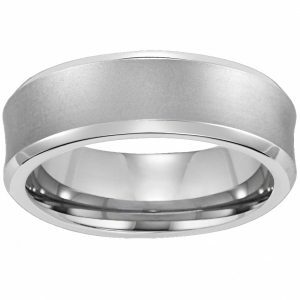 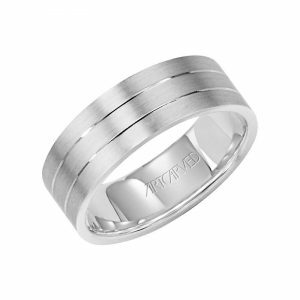 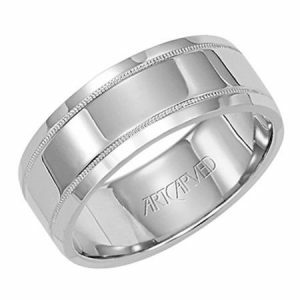 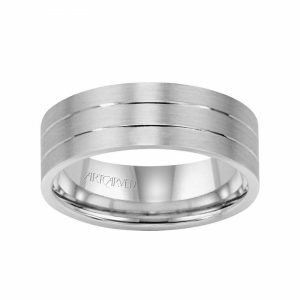 The ring has a heavy comfort fit, rounded high polished edge, and brushed finished center. *This ring is part of the Triton custom collection and made to order, please allow an estimated 15 business day shipping time frame.